Roasted sweet potatoes and arugula come together with pine nuts and a mouth watering maple bacon vinaigrette to make an incredibly flavorful winter salad! Primal, low carb and easily made Paleo, this Roasted Sweet Potato & Arugula salad will have everyone coming back for more. Have you ever had salad dressing so good that you want to eat it by the spoonful? Well if not, you will after you have this Maple Bacon Vinaigrette salad dressing. It is ridiculously tasty and the perfect pairing for this Roasted Sweet Potato and Arugula Salad! Speckled with pine nuts, sweet potatoes roasted with thyme and bacon rendered to make the dressing, this mouth watering winter salad is Primal, low-carb, full of nutrients and bursting with flavor! Follow the Paleo diet? No problem, this recipe can easily be made Paleo by simply omitting the Parmesan cheese and choosing a Paleo-approved bacon. Sweet potatoes contain an impressive amount of fiber and nutrients, from the B-complex vitamins to vitamin C, the minerals potassium, manganese and copper and huge amounts of carotenoids that can be converted to vitamin A. According to the World’s Healthiest Foods, sweet potatoes not only help to keep the eyes healthy, they may also help to keep blood sugar steady and fight inflammation (source). Arugula is quickly becoming one of my favorite salad greens. 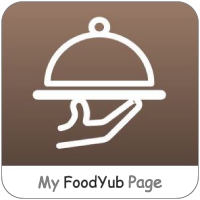 I love its punch of peppery flavor, versatile texture and long list of nutrients. Arugula is a great source of potassium, calcium, folate, vitamin K, and carotenoids that can be converted to vitamin A. As one of the cruciferous vegetables just like broccoli and kale, arugula is also rich in phytochemicals that may help ward off cancer and slow aging. According to Dr. Axe, arugula may help with everything from keeping the eyes healthy to maintaining strong bones and a healthy heart (source). That’s a lot of benefits for a tasty little salad green! There are notable nutrients in the other ingredients, as well, but I think it’s important to mention bacon. Yes, bacon. Did you know that 50% – half – of the fat in bacon is monounsaturated? The word monounsaturated should sound familiar because it’s the same type of healthy fat found in olive oil and avocados (source). Most health organizations advise against eating bacon all day every day, but I’ve never seen a (credible) health organization claim that eating bacon occasionally will cause you to turn purple and gain 1,000 pounds before falling over dead. So calm down, people! 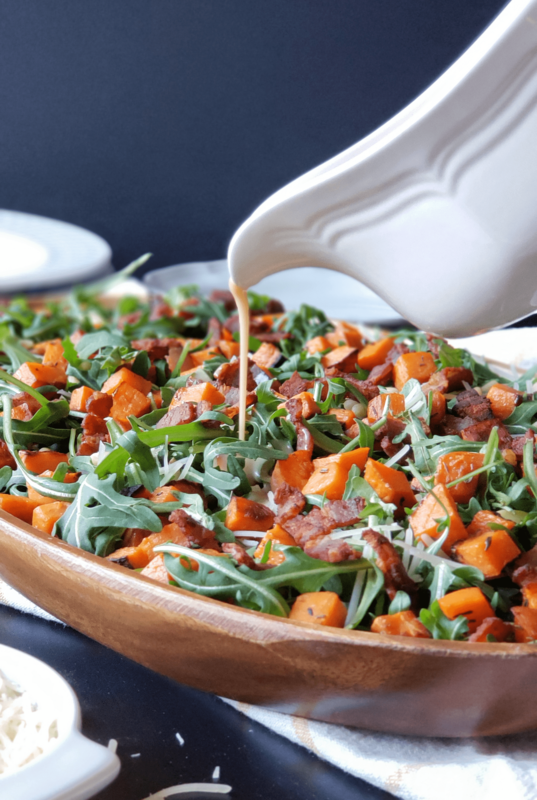 Take a deep breath, take a bite, and enjoy the wonderful flavor that bacon brings to this Roasted Sweet Potato & Arugula Salad. It’s totally worth it! Put the vegetable peeler away. Seriously. Unless you have the world’s most amazing vegetable peeler, using one to try to peel your sweet potato will only cause frustration and perhaps even injury. Instead, I use my knife to cut the sweet potato in half crosswise. Place the cut (flat) side down and make downward cuts with your knife to remove the peel. You’ll need a good knife for this, but I’ve found it to be a lot easier. Keep reading for my knife recommendations. You will need a sturdy and sharp knife to chop the sweet potato into 1/2-inch pieces. I love my J.A. Henkels International 7-inch Santoku knife, but I discuss several more options in this article on essential kitchen tools for healthy cooking. 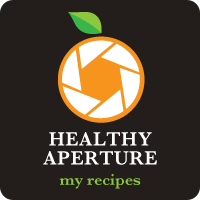 Applegate Farms makes a no sugar uncured bacon that is often sold at Whole Foods and Natural Grocers. Wellshire Farms sugar-free Paleo dry-rubbed bacon is carried at my local Whole Foods and may be found at yours, too! U.S. Wellness Meats sells sugar-free bacon that comes from pastured, humanely-raised hogs, which means that it can also contain notable amounts of vitamin D! Get it here. 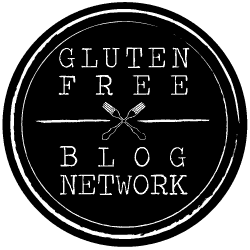 This article by Olive You Whole lists all the known Whole30 options and where to find them. Wait, why am I talking about Whole30 compliant bacon now? 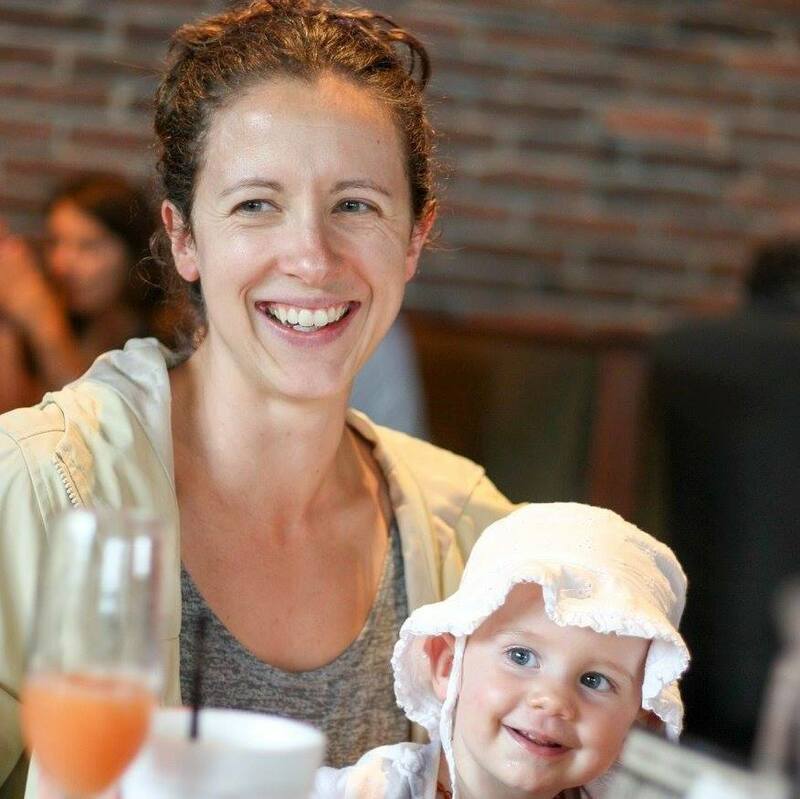 Whole30 is even more strict than Paleo, so if it’s Whole30 compliant, it’s also Paleo. Remember, along with a Whole30 approved bacon, this recipe can easily be made Paleo friendly and dairy-free by omitting the Parmesan cheese. 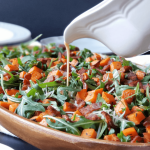 The other ingredients (and Maple Bacon Vinaigrette) provide so much flavor that you will love this Roasted Sweet Potato & Arugula Salad all the same! Time to turn those salad haters into salad lovers because yes, this salad is that good! Remove the skin from the sweet potato and chop into approximately 1/2-inch pieces. Toss with avocado oil, salt and dried thyme until all pieces are evenly coated. Place in a single layer on a baking sheet and roast at 400 degrees for 15-20 minutes, stirring once after 10 minutes. Remove and set aside when done. While the sweet potatoes are cooking, cut the bacon into 1/2-inch pieces and cook in a skillet on low-medium heat, stirring occasionally, until the bacon has started to brown. When done, use a slotted spoon to remove the bacon and set the bacon fat aside. Do not discard! Add the bacon fat and remaining Maple Bacon Vinaigrette dressing ingredients to a small food processor and blend until smooth. Alternatively, you could mince the garlic and mix the dressing by adding it to a jar and shaking vigorously. 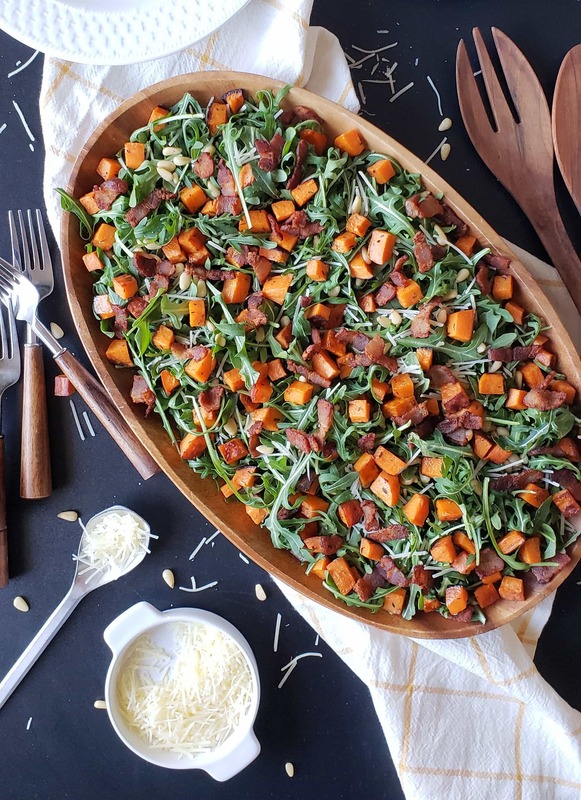 Arrange the salad with the roasted sweet potatoes on top of the arugula before sprinkling with pine nuts, parmesan (if using), and cooked bacon. The salad can either be tossed in the Maple Bacon Vinaigrette before serving (my preferred method), or the dressing can be drizzled on top of each individual serving. The salad should be evenly coated with the vinaigrette either way for maximum flavor. Either let the maple syrup and Dijon mustard come to room temperature or warm them slightly before making the dressing so the cold ingredients don't cause the warm bacon fat to solidify. If the dressing cools and starts to separate, simply reheat it and give it a quick stir to make it smooth again. what a dreamy combo, look So so good! What a gorgeous salad! I love the sound of that dressing! Now that’s how you do a winter salad. Love it! Love the sweet and smokey sweet potato with the peppery arugula! Of course the bacon is what brings it all together. Great recipe! I love all the tasty goodies on this salad & the dressing sounds yummy! They are so delicious! I totally love the dressing, too! These are some of my all-time favorite ingredients! And, there’s even bacon! That dressing sounds out of this world! I love warm veggies on my salads especially this time of year – can’t wait to try it! What bright pretty photos! Me too: LOVE arugula! This looks fabulous! Just looking at the first picture, I immediately wanted to have it. Thanks for this. This salad is so pretty, and the flavors sound amazing! What an incredible salad it is! I can only imagine the variety of flavors that it has – must be so tasteful! Super recipe! 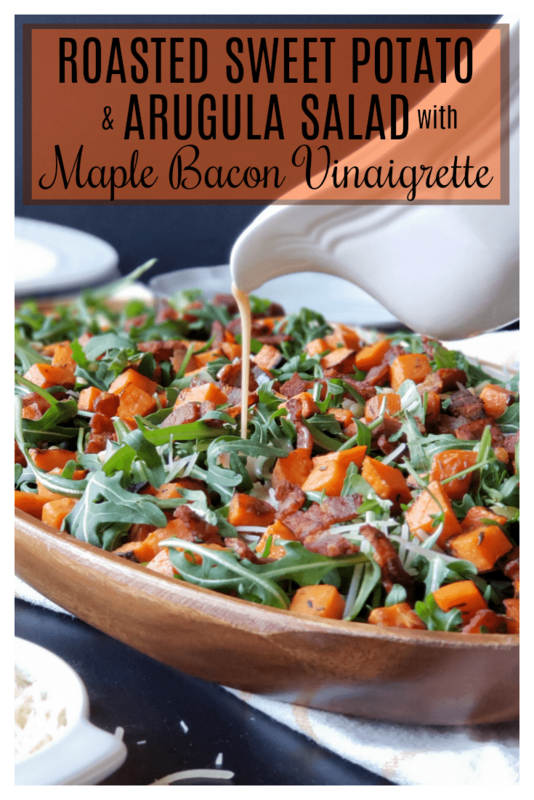 What’s not to love about sweet potato and bacon.. Love the peppery arugula addition.. I make similar but will definitely try this one… YUM! Thanks!